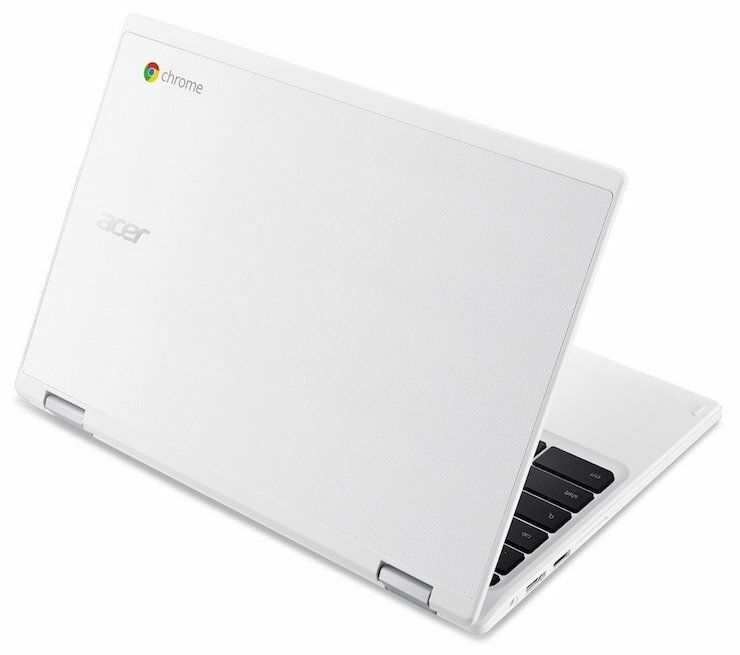 Acer Chromebooks are probably the most renowned and well-known series of chromebooks across the globe. That said, since the inception of Chrome OS, very few brands started endorsing it and made this OS available in their machines. Acer is one among those aforementioned rare brands, who took the step further and brought a powerful lineup of Chromebooks to the audience. Moreover, the brand has also made sure that they will be available for all the price segments and have thus launched various models starting at as low as $160. Although the Acer Chromebook 11 CB3-131-C3SZ is the cheapest chromebook available in the market, it does a pretty good job in offering a clean and polished exteriors. The laptop comes with a white case, which although looks neat and clean feels cheap. During our usage, we also felt that the laptop was hollow in certain areas from the chassis. One thing which is admirable in the laptop is its ruggedness. The chassis of the laptop doesn’t attract any smudges or scratches on it. On an overall note, the Chromebook CB3-131-C3SZ is quite good for the asking price. Do note that you’re getting this laptop at the price of a toy. Uh, a costly toy maybe. The Acer Chromebook CB3-131-C3SZ comes with a standard chuckle keyboard. 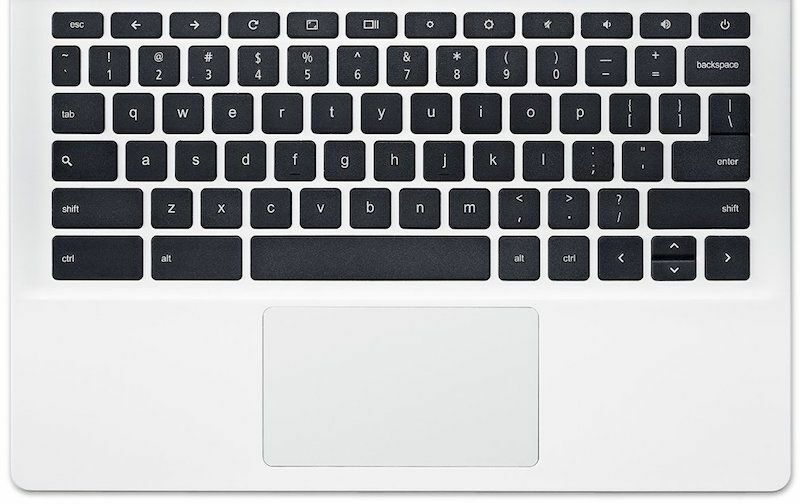 Key alignment and the keypad’s placement is largely similar to that of all other chromebooks. The keys are clear, visible, and are unfortunately not backlit enabled. The keyboard comes with good mechanics and all the keys offer good tactile feedback. Using TypingTest.com, I managed to score around 92 words per minute with six errors, compared to 130 words per minute with around five-six errors on my MacBook Air. All that said, the laptop does offer a great keyboard for the asking price. As far as the touchpad on this laptop is concerned, it is nice and spacious and works well with multitouch gestures as well. 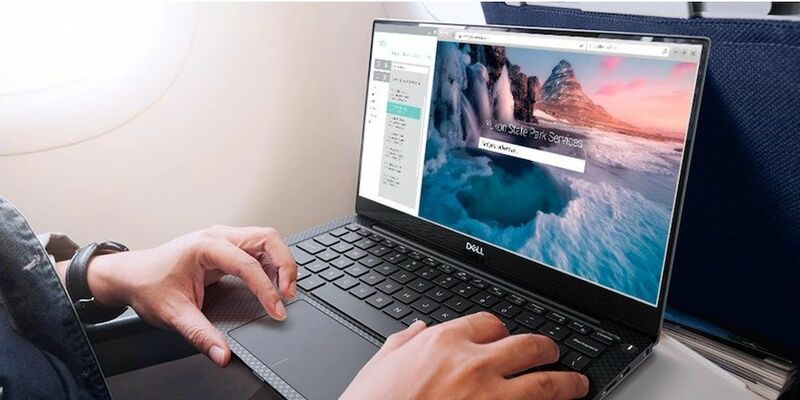 The laptop offers gestures including—touch to click, double touch to right-click, swipe with three fingers to switch between apps and much more based on the customisation. But we didn’t have a pleasant time using the mechanical click buttons on the trackpad. During our usage, these mechanical clicks often got stuck, which was annoying. Coming to the display segment of the laptop, the Acer Chromebook CB3 sports an 11.6-inch HD display with a resolution of 1366 x 768 pixels. The display is of IPS LED type and comes with the Acer’s proprietary ComfyView Widescreen technology for a better viewing experience. Also, the screen is set to a fixed aspect ratio of 16:9. The matte display on the CB3 gains it an advantage when it comes to providing adequate brightness without hurting eyes. Not to mention, the laptop is priced under $200. The screen is combined with a laid back wide angles along with the decent amount of brightness and contrast. Matte finish on the display makes it suitable for almost all the indoor usage conditions. Before we start giving out the specifications and hardware stuff of this Chromebook, we would like the viewers to first recollect the price of this device and proceed down. Under the hood, the laptop packs in a 2.16GHz Intel Celeron N2840 processor. The laptop is dual-core and with the help of Intel Burst technology, the laptop can achieve a clock speed of 2.58GHz. 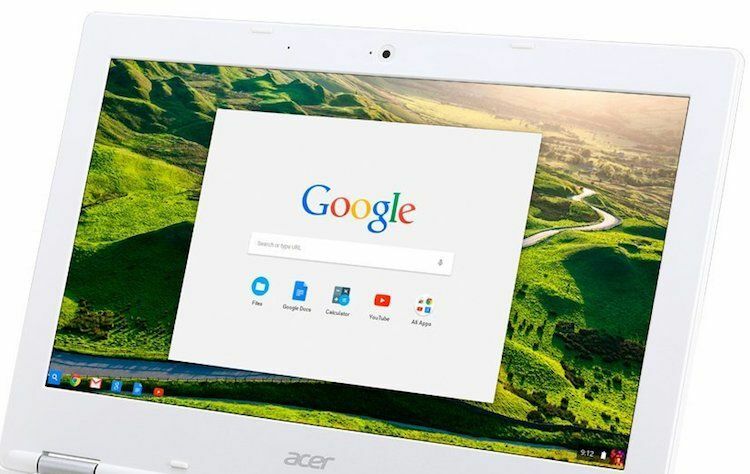 For multitasking, the Acer Chromebook 11 is equipped with a 2GB of DDR3L RAM, which is although very less when compared to other Windows-based laptops, is quite adequate for Chrome OS. 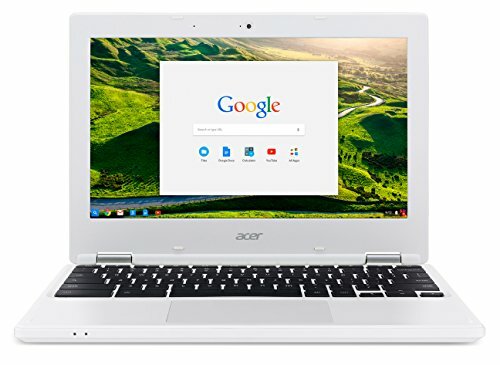 For graphics, the Acer Chromebook CB3-131-C3SZ ships with an integrated intel graphics processor, which takes care of rendering minor graphics. For storage, it offers a non-expandable 16GB of solid state drive internal storage, which we feel is the major letdown for this budget-friendly Chromebook. However, if you’re always connected to the internet, then Google is offering free 100GB of online cloud storage. The Acer Chromebook 11 offers an HD web camera at top of the screen. The camera is pretty fast in adjusting images on the frame. The shot to shot time is also comparatively very less than those in its competitors. The laptop is ideal for Skype or any other video calls due to its compact-sized weight. This pint-sized value-for-money laptop comes with a USB 3.0 port for faster file transfers. There is another USB 2.0 port, which comes quite handy if one requires connecting an additional peripheral. The laptop also comes with an HDMI port with HDCP port for wired media sharing. 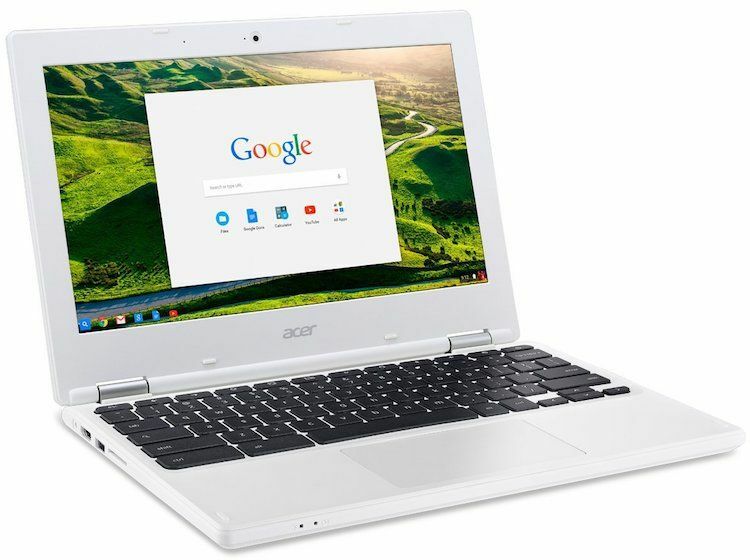 The Acer Chromebook CB3-131-C3SZ runs on the Google’s proprietary Chrome OS, which is a lightweight operating system for laptops. The OS is well-known for its resource utilisation and can deliver decent performance even under a feeble set of specifications. Accordingly, the CB3 offers a very decent performance for the hardware it packs in. 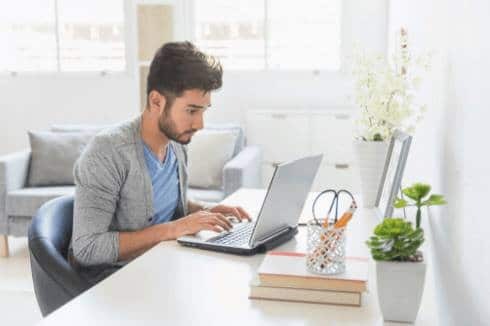 Although the software on the laptop offers a couple of interesting features such as file viewer, app grid, document editor, and more, there are few segments wherein, the software struggles. During our usage, we clearly felt that the software is not very well polished. However, we hope that it gets fixed with some regular updates. 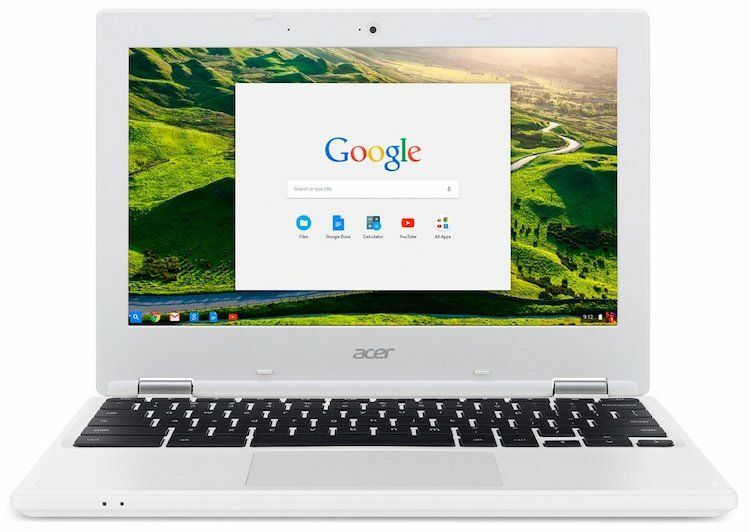 The Acer Chromebook CB3 is one among the very few laptops listed to eventually get access to the Google Play Store. In addition to that, it comes with all the popular Google’s lineup of apps with built-in: Search, Gmail, YouTube, and Hangouts. What performance would you expect from a laptop costing $160? That said, we aren’t demoting this laptop in any manner. It’s just that the hardware packed in the CB3 is very basic and evidently one cannot expect a class-leading performance from it. A dual-core entry-level mobile processor paired with a 2GB of RAM is although capable of handling basic tasks, it struggles under heavy usage. The best part is, the laptop is fan-less and therefore, doesn’t produce any sound during usage. 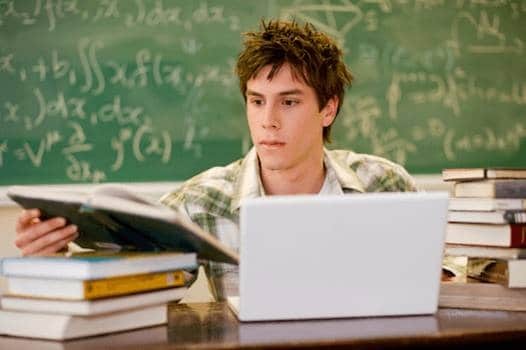 All the daily essentials such as browsing internet, handling text editors and readers runs fine without any considerable lag in them. In fact, we were quite amused from the performance and apps handling in the CB3. The laptop is pretty fast and quick when compared to the Windows counterpart. 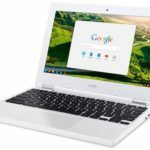 The Chrome OS is a great add-on for this entry-level laptop as there are not many background applications and services in Chrome OS as compared to a Windows OS. 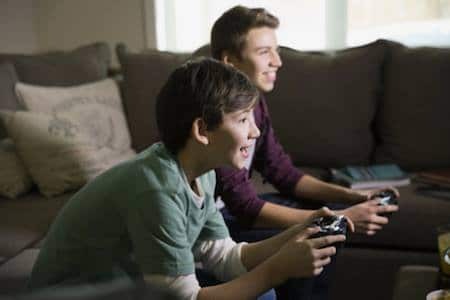 On the connectivity front, the laptop supports a dual band 802.11ac WiFi featuring the company’s proprietary MIMO technology for faster network reception. As far as gaming on this laptop is concerned, the laptop does quite good in handling graphics. Especially, considering the basic integrated graphics on the device. We ran few games such as tank rider and speed racer games, which although are light on graphics are quite entertaining. To our surprise, the laptop handled them all without any kind of lags or hiccups. The laptop comes with two built-in stereo speakers which support high definition audio. We tried playing high definition FLAC files, for which the laptop did pretty well. The sound output is although not very loud, the audio produced is easily sufficient to fill a small sized room. We also tried playing some Full HD and 2K video content on the chromebook 11, for which the laptop did really well. Sadly, the laptop struggled a lot to handle 4K content. The Acer Chromebook 11 CB3-131-C3SZ stays pumped up using a 36 watt-hour battery, which is quite average considering the specifications. However, Acer did really well to squeeze a little more from the battery. Even during our usage, the laptop managed to deliver about 8 hours of continuous usage, which included watching videos running few basic benchmarks and browsing. During all the time, the WiFi was enabled. Therefore, we expect the laptop to deliver a little more of battery backup when the network reception is disabled. The laptop can be fully charged in less than 2 hours which is great. On an overall note, the Acer Chromebook CB3-131-C3SZ 11.6-Inch Laptop is a complete value for money offering from Acer. The laptop not only managed to impress us, but also amazed us with some aspects such as battery life and performance. Assuming, you’re looking for a compact, value for money, and a browsing focussed laptop, then the Chromebook 11 must definitely be in your wish list. At the asking price, there are hardly any competitors for the laptop. Not to mention the Chrome OS is a perfect supplement for the hardware the laptop packs in.